Core Aeration is one of the most important cultural practices available for a lawn in New Jersey. 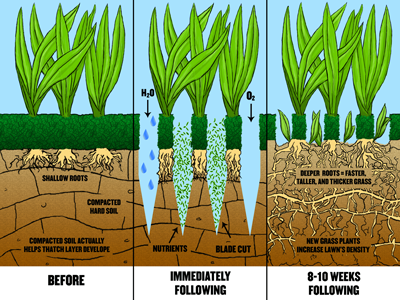 Aeration helps control thatch, improves the soil structure, helps create growth pickets for new roots, helps control disease and opens the way for water and fertilizer to get into the root zone of your lawn. Aeration removes thousands of small cores of soil 1″ to 3″ inches in length from your lawn. These cores melt back into the lawn after a few rainfalls, mixing with whatever thatch exists on your lawn. The holes created by aeration catch fertilizer and water. Turf roots naturally grow toward these growth pockets and thicken in the process. Aeration holes also relieve pressure from the compacted soils, letting oxygen and water move more freely into the root zone. It also saves on the water bill: the water is absorbed before it evaporates. Technically speaking, aeration is the naturally occurring process of air exchange between the soil and its surrounding atmosphere. Practically speaking, aeration is the process of mechanically removing small plugs of thatch and soil from the lawn to improve natural soil aeration. It’s commonly called “core aeration” in the lawn service industry, and you may have heard of it as soil cultivation (coring, spiking and slicing). Most homeowners simply call it aeration. 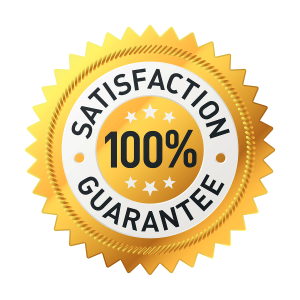 Our aeration process is based on simple program that yields big results. 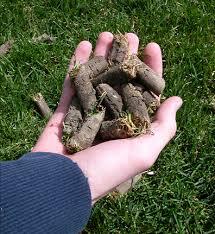 First, Best Turf specialist mechanically removes small plugs of turf, thatch and soil from your lawn. In a week or two, these plugs break down, feeding nutrients back to your lawn’s root system. You may even begin to see new white roots growing into the aerated holes. 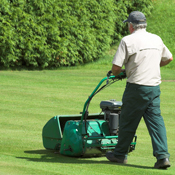 Aeration can be one of the most important things you can do for your lawn. It is the process of removing thousands of plugs of thatch and soil approximately 2 inches deep and 5/8″ in diameter from the lawn to improve soil aeration. When Should NJ Lawns be Aerated? Annual aeration is beneficial for most lawns all over New Jersey. Lawns growing on heavy clay or subsoils, and lawns exposed to intense use can benefit from one or two aerations each year. Aeration can be done spring or fall, or when the turf is in a healthy condition and soils are soft enough for the plugs to be “pulled”. Monmouth, Middlesex, Ocean Counties and more.